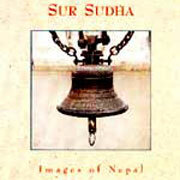 Sur Sudha was established by Mr. Surendra Shrestha in 1991 which is also known as Nepal's MUSICAL AMBASSADORS' and awarded as Goodwill Ambassador of Nepal Tourism Year 2011 and are devoted to making music to disseminate a universal message of peace and harmony supporting the effort alleviate poverty from the face of the earth. Through its music, Sur Sudha bring to the world the message of peace propounded by its son of the soil, Lord Buddha and demonstrate how two of the world's great religions-Hindu and Buddhism-find perfect fusion in Nepal. Sur Sudha seek to promote these ideals through traditional Nepali instrumental music rendered with the flute, sitar, tabla and guitar, four instruments most popular in Nepal. Sur Sudha four sons of Nepal. These talented musicians have built a reputation for their innovative interpretations of traditional Nepali folk tunes and for composing their own original music, stretching the parameters of a formal setting of them. Their CD album. showcase the virtuosity of the individual musicians and offer listeners an opportunity to go on a musical journey through Nepal-from the Tarai (pastoral lowlands) to the remote areas of Mustang, nestled high in the mighty Himalaya. Sur Sudha have held more than 2,000 concerts, on the steps of ancient Hindu temples to the concert stages of many countries of Europe, India, Japan, S. Korea, Africa and the USA, and have been the subject of TV documentaries in many countries. They have already released fourteen CD's. 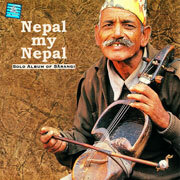 Melodies of Nepal, Image of Nepal, Festivals of Nepal and Third Eye- except the last one others are available worldwide through Schtung Records in collaboration with Universal Music (formerly MCA) supported by BMG Records and Warner/Chappell. In the International front, Sur Sudha's music is widely recognized by music companies, Sur-Sudha is coming with new album dedicating to the Mt. Everest print and electronic media through out the world. Sur Sudha held second position in KALX WORLD MUSIC CHART for the week ending May 11, 1998 as the most frequently played international music. This apart, Sur-Sudha remained in the top ten in the KALX World Music Chart for months as a popular world music in 1998. 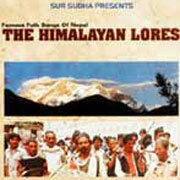 Sur-Sudha is also awarded in the Hollywood Spiritual Film Festival in 2004. 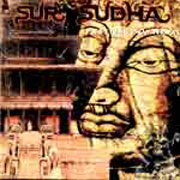 In the International front, Sur Sudha's music is widely recognized by music companies, Sur Sudha is coming with new album dedicating to Mt. Everest print and electronic media through out the world. Sur-Sudha's music is a package of the representation of all the communities of Nepal including from the highest peaks of the Himalayan range to the lowest land of Terai. And top of that it also presents a modern fusion compositions including acoustic guitar, tabla, sitar and flute. 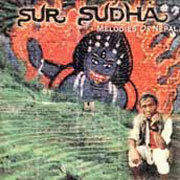 Sur-Sudha also has a package of meditation, peaceful music, healing music and chanting music. Sur-Sudha is also casted by 2 Grammy award winner director Mark Johnson in his musical documentary film " Playing For Change " and the track is " One Love " which has almost 3 crores of viewers now.